The biggest issue with Bowman Gray is that the Tour will run larger, 15-inch tires during the year, while the weekly Stadium drivers in the Modified Division run 11-inch tires. “We heard that the Stadium would get a race,” said Meyers, a Stadium regular. “I told people I just don't see that happening. But I guess I was wrong. It is a big race weekend too. The 199. If you run weekly at the Stadium, that race can make you or break you. “I figured it would be pretty close to what we heard,” said driver Burt Meyers. “Basically, it looks as if it will be the same as we had last year, except with the NASCAR banner on it. If you are unaware of what is going on with the new series, NASCAR is stepping in to run a Southern Modified Series, which was normally run under the SMART banner. 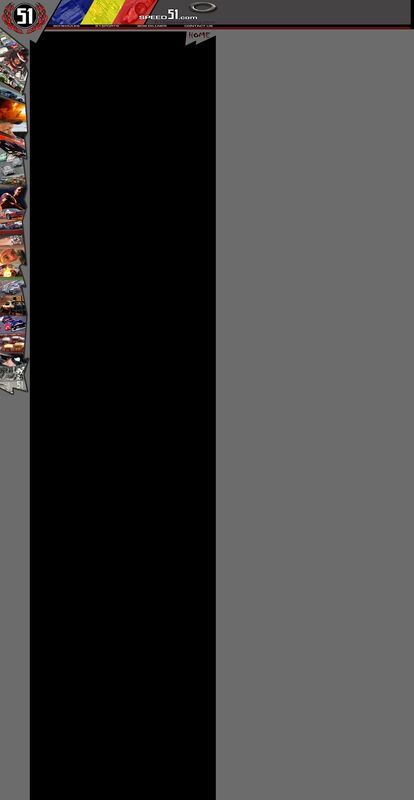 The SMART organization will still be around, but the Southern Modified Tour will be a NASCAR-sanctioned property, joining big brother, the NASCAR Whelen Modified Tour, along with the six other NASCAR Touring Divisions. Last night's meeting was the first official meeting to discuss what will change in 2005, what will stay the same, what to look for and what the future holds. It was, in most viewers eyes, a rousing success. “With about 150 people there and 50 teams represented,. I'd say we thought it was very positive,” said NASCAR's Ed Cox, who conducted the meeting along with NASCAR's Don Hawk, who oversees all of the NASCAR Touring Divisions. up and made clearer, including the release of a tentative 13-race schedule that will be expanded before the season starts, while some issues still have a murky outlook, including some rules. One of the first thing that many wanted to know is the schedule that will be laid out. NASCAR announced a tentative schedule that has 13-confirmed date on it. By all indications, the final schedule will have a total of 16 races. NASCAR is still talking with several tracks and trying to confirm a coupe of more dates. Caraway Speedway (Asheboro, NC) has hosted several SMART races during the past several years. The tentative schedule shows six 2005 NASCAR Southern Tour races at the .4-mile track, much more than any other track on the schedule. A huge date released was the August 6th race at the legendary Bowman Gray Stadium (Winston-Salem, NC). The series will run the legendary 199-lap race that nears the end of the Stadium season. It is a huge event for the Southern Tour, but there are plenty of questions left by the event, considering there will be drivers in the race that either race the full Southern Tour or the full Stadium season. Junior Miller, known as the "King Of The Southern Mods," wasn't at the meeting, but his owners were. It's finally here. The NASCAR Southern Modified Tour. The much awaited and talked about Tour held its first official meeting on Thursday night in Winston-Salem (NC), drawing in over 150 interested individuals representing over 50 teams. The meeting, called by NASCAR officials, was the first time they had “officially” gotten together with competitors and teams to discuss the upcoming 2005 season. Cox gave Speed51.com his side of the rule changes. “We told everyone that we were going to try to run the series to the format they were running with a few minor changes. I'm sure there will be some changes and they knew that coming in. “We are having conversations with Friendship (officials),” said Cox. “We had some last night (Thursday) after the meeting. We haven't decided which avenue we are going to go there yet. Cox said those other tracks could include South Boston, Greenville-Pickens and Orange County Speedway. Cox said NASCAR is reviewing the tire situation and will have further comments on it when they decide what they will do. 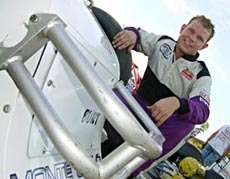 The rest of the schedule was made up with races at Ace Speedway, Myrtle Beach, Motor Mile, Concord and Hickory. One notable track missing was that of Friendship Speedway, which had five SMART races in 2004..
Cox said the schedule is not set and that Friendship, along with a couple of other tracks, might still get a race date. 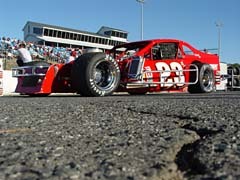 Currently, Caraway Speedway has six races on the 2005 schedule. “There will be some extra expense, but we kinda figured that,” said Meyers. Cox also made several other announcements during the night, including introducing Scott French as the Tour's new Director. 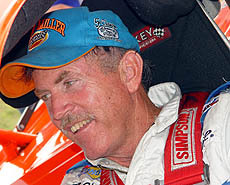 French has previously served as a Busch Series official and was most recently the Director of the Elite Division Northwest Series. One of the biggest news items for the new Tour, Cox said that the Series has already attracted a title sponsor. That was some welcomed relief to hear from the drivers. However, Cox also indicated that the series' purses were not likely to change much from the purses the SMART Series paid last season. This year will be a building year. The other major portion of the night came when talking about the rule package for 2005 and how it will differ from the SMART rules the drivers have run in the past. Simply enough, NASCAR has said they are going to make minimal changes in the rules, most of which will revolve around safety issues, all while trying to grandfather the Southern Tour teams into a rules package that matches the Whelen Modified Tour of the Northeast. Things were still cloudy though after Thursday night's meeting. “Rules is the one topic they couldn't tell us everything about as of yet,” Loftin said. “I know LW (Miller, a two-time SMART Series Champion) pressed them hard on the rules but never could get a concrete answer on some things. They said if we are building a new car, to build it towards the North tour rules, but that we are still running under our rules with the exception of some safety stuff. 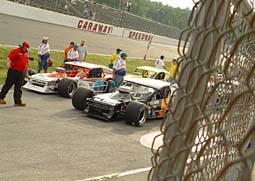 In 2006, the Southern Tour should have rules that are jut like those of the NASCAR Whelen Tour.